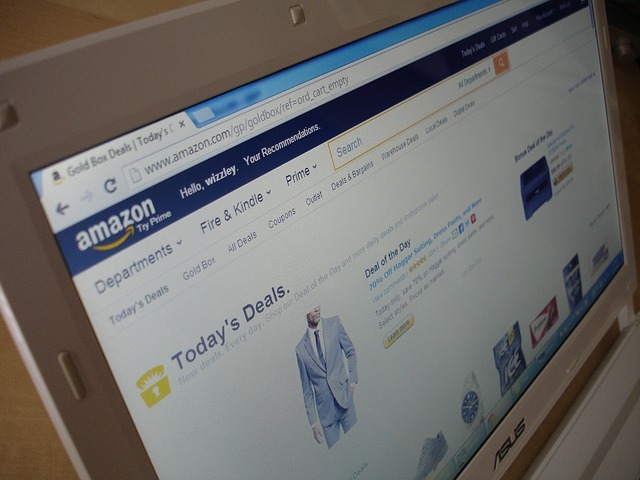 There has been much hype surrounding the now confirmed entry of AmazonFresh into Australia. AmazonFresh, which is already operational in the US and UK, promises the delivery of low-priced everyday items delivered quickly to the consumer’s door. In theory, such a service may seem like a dream come true to many Australians, but Roy Morgan Research has released data showing otherwise. Monitoring Australia’s online grocery shopping habits over the past several years, Roy Morgan Research says approximately 30 per cent of shoppers regularly state they would consider online grocery shopping in the next year. However, when it comes down to it, only 3 per cent of Australians actually buy groceries online within any given four-week period. Which supermarkets might lose customers to Amazon Fresh? Although Woolworths has already set up a business division to tackle Amazon Fresh head-on, Coles might need to be more worried about losing customers. 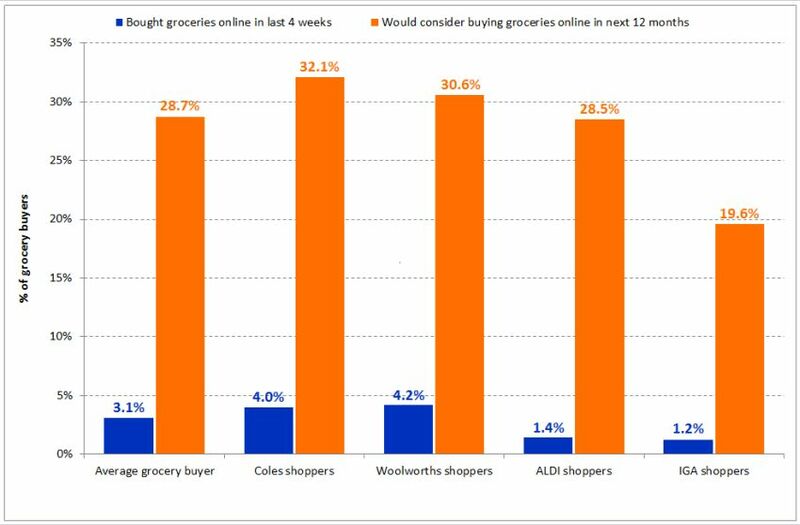 Roy Morgan Research’s latest data shows that 32.1 per cent of Coles shoppers say they are likely to consider online grocery shopping in the next year. So what is it that keeps Australians going back to brick-and-mortar supermarkets when they can get groceries delivered straight to their front door? According to Roy Morgan Research, at least part of the appeal is “retailment” – where supermarkets offer some type of in-store entertainment. “Savy supermarkets are already tapping into this with such add-ons as in-store cafes, tastings or cooking demonstrations, something an online grocery service cannot provide,” Roy Morgan Research said in its analysis report on AmazonFresh. Michele Levine, Chief Executive Officer of Roy Morgan Research, said although online grocery shopping is not widespread in Australia yet, AmazonFresh does look like it will “up the ante”. “It’s worth noting that customers who mainly shop at Coles or Woolworths are more likely than the average grocery buyer to be technology Early Adopters, and as such, more open to radical new e-commerce propositions such as Amazon Fresh,” Levine said. “But the threat of AmazonFresh is not just about technology, it’s about competitive pricing, service and real estate. With heated price wars already characterising the current Australian supermarket scene, a new player of this magnitude will undoubtedly appeal to grocery shoppers, especially when Amazon CEO Jeff Bezos has already declared, “Your margin is our opportunity”,” she said. “Meanwhile, as traditional supermarkets reduce the range of brands they stock in favour of a greater selection of home brands, the sheer diversity of brands available on Amazon Fresh may also appeal to shoppers,” Levine stated. “The incumbents, however, have the advantage of physical locations within easy reach of every shopper. Although Amazon is venturing into the offline space, with its first cashier-less, bricks-and-mortar Amazon Go grocery store currently operating in beta-mode in Seattle, it remains some way off rolling out these stores in Australia. This advantage will buffer local supermarkets while they gauge and respond to the impact of Amazon Fresh’s arrival,” she concluded. IsAmazon set to enter the Australian grocery market? Which fast food chain has the best hot chips? A Canstar Blue survey has discovered Australians rank Oporto as having the best fast food hot chips.